Libyan National Army’s Advance To Capture Derna Is At Its Final Stage (Map) 5.8333333333333 out of 5 based on 6 ratings. 6 user reviews. 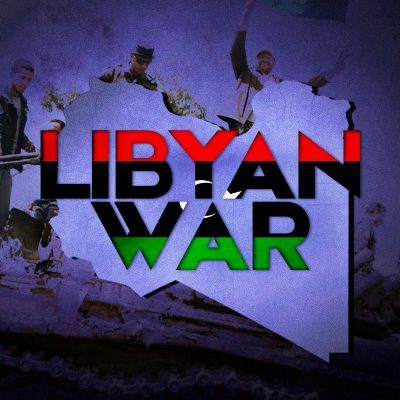 On June 15, the Libyan National Army (LNA) continued its advance in the center of the northeastern city of Derna and captured al-Muahshah, Sha’abiat Ghazi, the al-Asta Omar school, the main office of the al-Jabal al-Akhdar company and the neighborhoods of al-Daman al-Ijtma’i and al-K’ab al-Ali, according to the Libyan outlet Africa Gate News. Earlier this week, the LNA captured the district of al-Qalaa and secured the district of Shiha al-Sharqiyah in Derna after heavy clashes with the Shura Council of Mujahedeen in Derna (SCMD). Africa Gate News said that LNA had slowed down its advance in Derna in order to avoid any civilian casualties and to deal with the threat of the SCMD’s vehicle-borne improvised explosive device (VBIEDs) and suicide bombers. 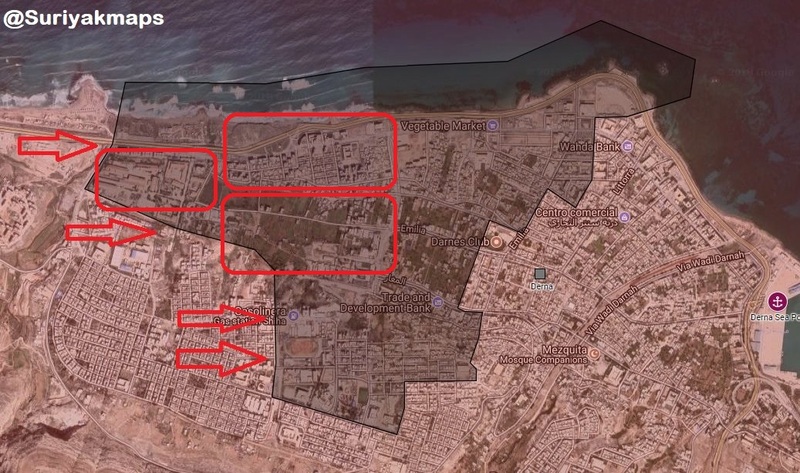 From its side, the SCMD appears to be on the verge of defeat, especially that its fighters failed to conduct any successful defensive operation against the LNA in Derna during the last three days. The LNA will likely mange to neutralize the SCMD before the end of this month. Egypt and the UAE played a key role in the LNA success by supporting it financially, politically and even militarily through the air force. It would be nice to know why the LNA chose to assault this city. I’m sure it’s a long tale of power politics and double dealing. Either way it also looks like the LNA is winning the propaganda war as well as the battle.